When I was in high school, I was inspired to make cordon bleu. Escaped filling, pink chicken, an epic fail. I never ventured near the thing again until yesterday, after deciding my deadly cordon bleu trial of past was probably long enough ago for me to safely try it again. Instead of using bread crumbs though, I adopted my little alternative from when I made crispy oven baked chicken wings and used crushed cornflakes instead. I had some egg white left over from a chilli lime aioli I was making (which turned out more like a honey mustard mayo, but more on that in a later post), and so after I had rolled up everything in the chicken and skewered it together, I rolled the meaty package in some flour, then in the egg whites and then in the cornflakes. I also used mozzarella instead of Swiss, only because I had mozzarella already and didn’t want to waste it. Instead of ham, I used bacon. 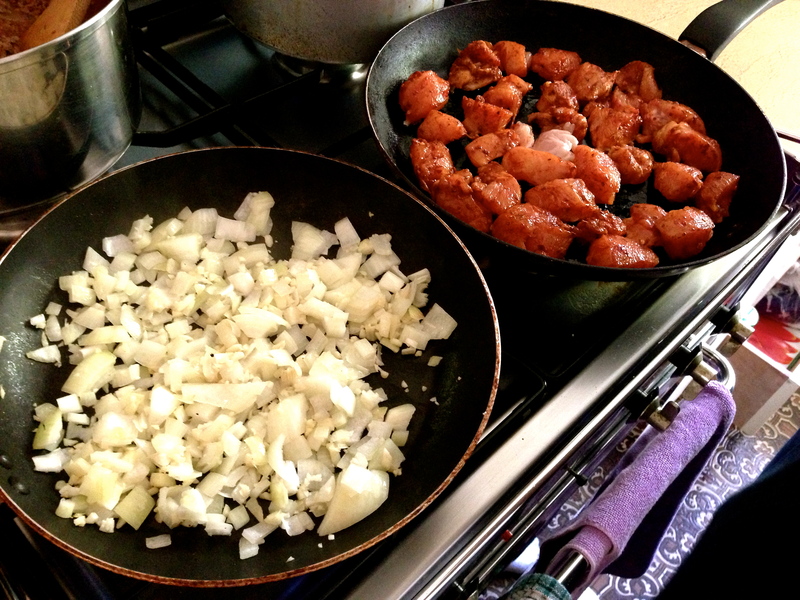 To accompany the chicken, I also roasted some potatoes and my favourite type of sausage, chorizo. I did intend on making a gravy with some chicken stock but I ran out of time and thought it would be fine without a sauce, which it was. It was sometime before placing the chicken in the oven that I realised a huge mistake I had made in my first cordon bleu attempt: I had tried to cook it on the frying pan. How embarrassing! At the same time, I was making a spaghetti frutti di mare for my parents, which also turned out amazing thanks to a fantastic recipe. I did take some photos but none turned out good enough to post up, however DO check out the recipe and try it out – you will not regret it if you’re a seafood lover. Just a quick note: I didn’t use clam or fish stock as the recipe called for. I had some chicken stock already so I just used that (cue heavy intake of breath from food snobs everywhere). I didn’t have actual clams either – the seafood I used were mussels, squid and prawns. It was really, incredibly easy to make as well; definitely another keeper, hurray! Have I ever written about my 2-month exchange to Germany? Probably. But, I’ll mention it again. In 2004 I stayed with a German family in Baden-Württemberg as part of a school exchange after their daughter, Stephi, came to NZ and lived at my place for 2 months. Her and her family offered me a lifetime’s worth of experiences and fond memories, for which I will always have my door open to them should they ever venture to this part of the world, or wherever part of the world I may end up in the future. My eyes and mind broadened with my first dazzling experiences of musical theatre, the bustling glühwein-scented air of German Christmas markets and the magical walk up to Schloss Neuschwanstein where I experienced my first beautiful and delicate snow fall. 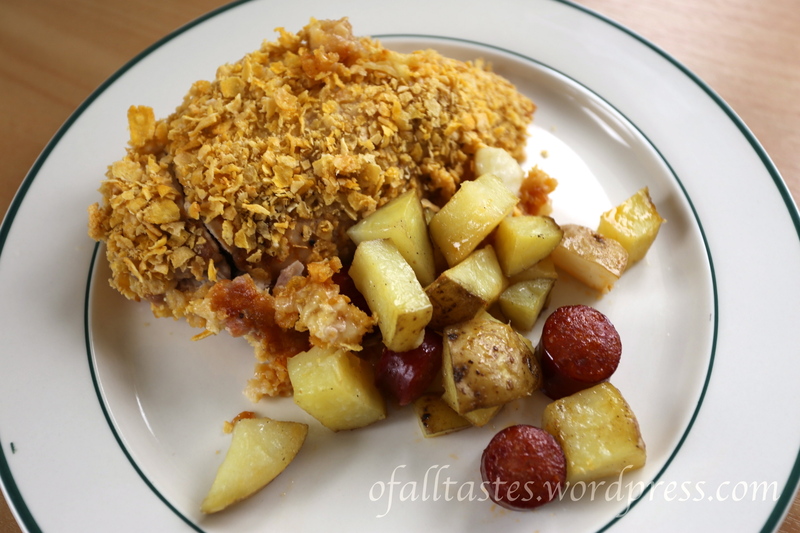 It was also the first time I had cornflakes-coated cordon bleu and I remember telling myself that one day, I would learn how to master that amazing coat of crunchy goodness. While I’m on the topic of German food, German bread is so, so, SO good. If you’re hanging around in the south of Germany, you should make the effort to source out your nearest Fidelisbäck bakery. The smell itself will have you wading in puddles of drool. Back to the chicken – fast forward 9 years (9 years!!!!?!?!?) and you have me gleefully bashing up 4 cups of cornflakes with a rolling pin in preparation for coating 30 little pieces of chicken nibbles. 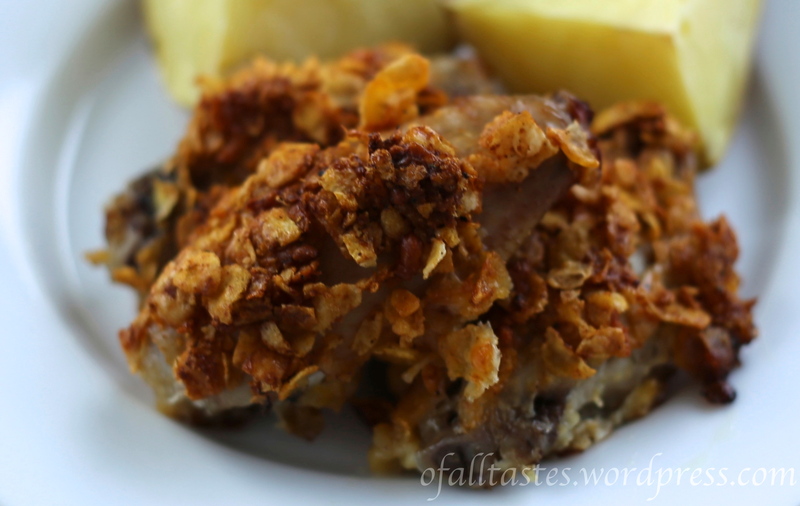 There’s plenty of recipes out there for cornflake-coated, oven-baked chicken and the one I chose to use was, surprise surprise, by one of the teams who competed on My Kitchen Rules this season. I upped the amount of cornflakes I used since I had heaps more chicken to work with, I added some additional seasoning (“Roast chicken” seasoning from Masterfoods) and it also took much longer to cook and brown up (about 50 minutes as opposed to 20 in the original recipe). 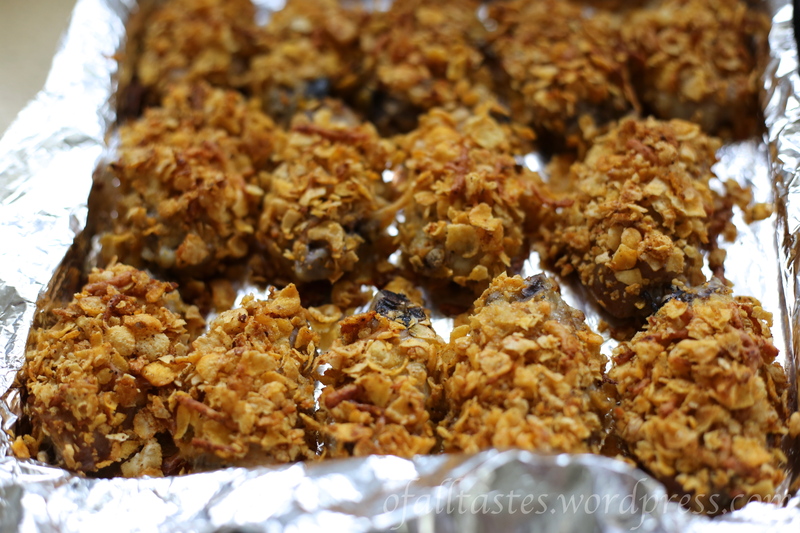 I did have some trouble with getting enough cornflake mix to stick to the pieces but they turned out exceptionally crunchy anyway and they were cooked perfectly to that meat-falling-off-the-bone type state. They probably needed some kind of creamy dipping sauce but I hadn’t thought much past getting the chicken right. One step at a time! There’s a little lemon tree that grows in my backyard and it produces fruit just about every season. This year, it really went all out producing lemons, so much so that we didn’t know what to do with all of it. We hate letting stuff go to waste so we picked every last one off the tree, squeezed out the juice and froze it into mouth-puckering lemon juice ice cubes. I think we came towards the end of summer with about 5 large peanut butter jars full of them. Since then we’ve been steadily getting through the lemon juice (lots of hot lemon and honey drinks! ), sometimes at a struggle because we’re conscious of using it up before next season’s fruit, hopefully, grows. It’s actually not a bad idea to do the whole freeze em up thing because it’s so easy to just melt the juice for a recipe and boy, did I melt a lot of lemon juice last week. 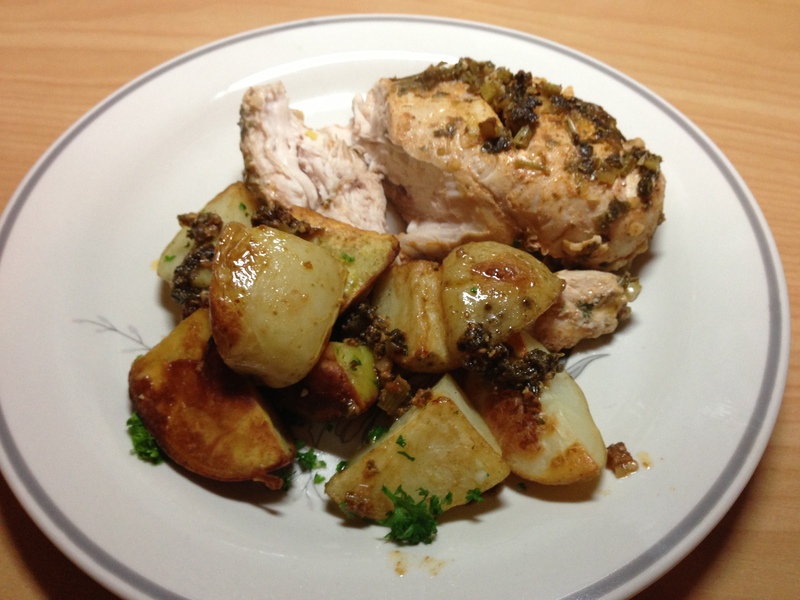 Last Thursday I made lemon and herb roasted chicken breasts. I followed this recipe – it says Armenian herb marinade but it’s essentially a lemon and herb recipe, isn’t it. Instead of grilling the chicken like in the recipe, I pan fried it first and then baked it in the oven. All the prep and stuff was fine until I got to the amount of lemon juice needed. I’m not the most accurate with quantities of ingredients when I cook because I like to go by taste. It usually works out quite well but I have to say, this time the lemon got me. 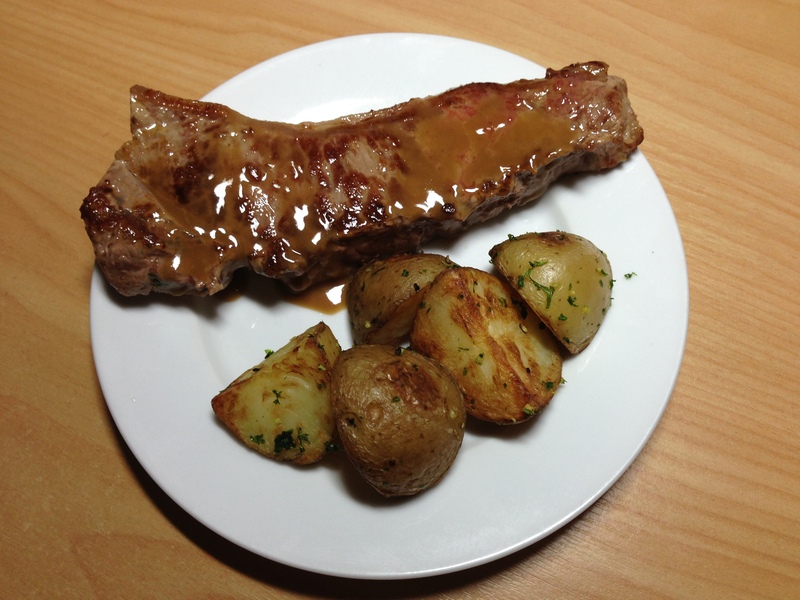 It was deceptively light and I couldn’t taste it when I made the marinade. About 7 cubes (one cube is equal to the juice of 1.5 to 2 small lemons) and 24 hours later, I had the chicken in the oven, some potato fries seasoned with salt and paprika in the oven too and was reducing the marinade to make a sauce. I taste the sauce and WOW, sour much?! I served the meal with the sauce anyway, hoping that it would somehow not seem as sour when eaten together with some chicken and potato…Turned out that’s not quite how it works and I should have just gone without it. Ouch? Not really because I knew it was true. 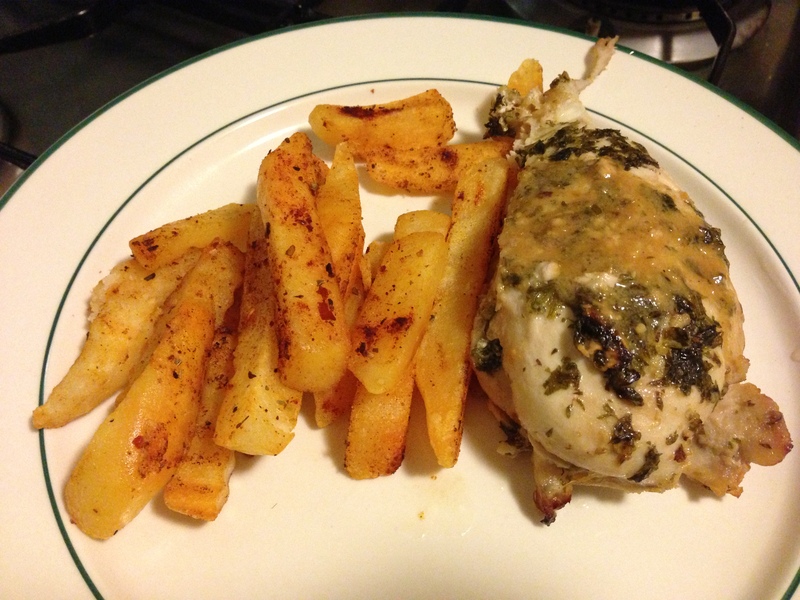 The chicken was cooked nicely and the herb flavours were really good but I guess I kind of ruined it by the sauce. Oh well, you win some and you lose some. 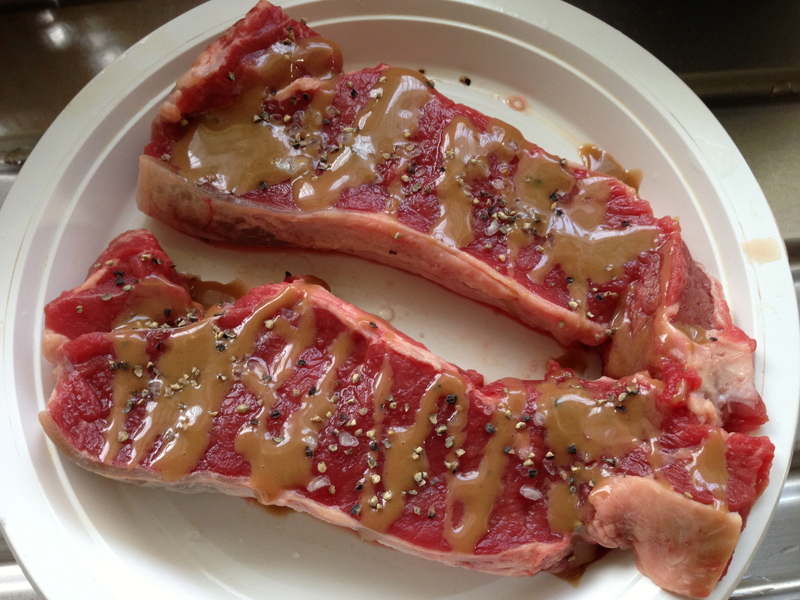 Carrying on with the theme of tangy-ness, I made up some sesame soy sauce for some steaks on Saturday and was a bit heavy-handed with the rice wine vinegar (there’s tahini, sesame oil, soy sauce, garlic, sugar and vinegar), so the vinegar overpowered everything else. Oops, guess I just hadn’t had enough sourness for the week?? 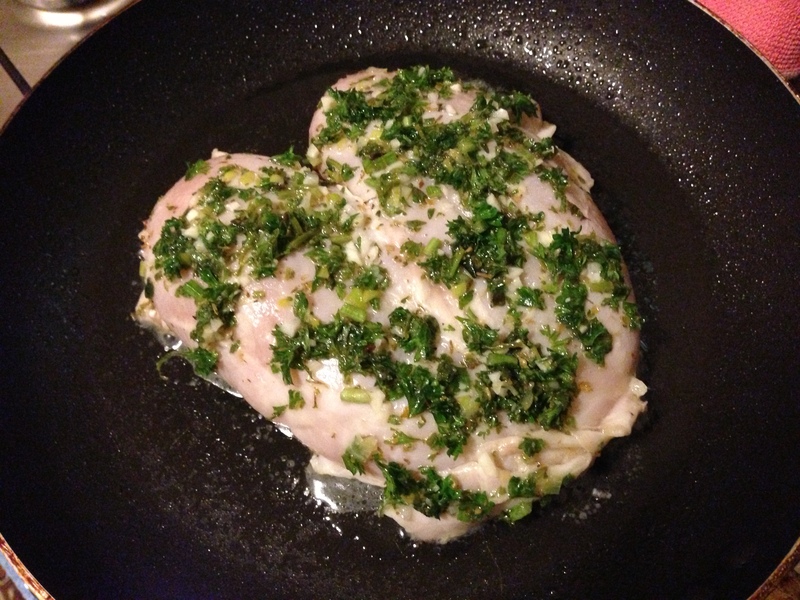 The other thing I made that day was a parsley, garlic, lemon and olive oil dressing for some basa fish fillets. Basically just whipped up chopped parsley, garlic, lemon juice and oil in the food processor. This turned out alright but I wouldn’t make it again. Basa is such a delightfully delicate tasting fish and I want to find something that really compliments it – this dressing really didn’t. Also, I found this for some garlic and parsley roast potatoes (can you tell I really need to use up some parsley? :P) and I quite enjoyed not having to wait ages for the spuds to cook properly in the oven (for some reason they always seem to take forever and I’m forced to serve everything but the potatoes because everything else would go cold otherwise). So, all in all an okay week for food but maybe a little sweetness next time? 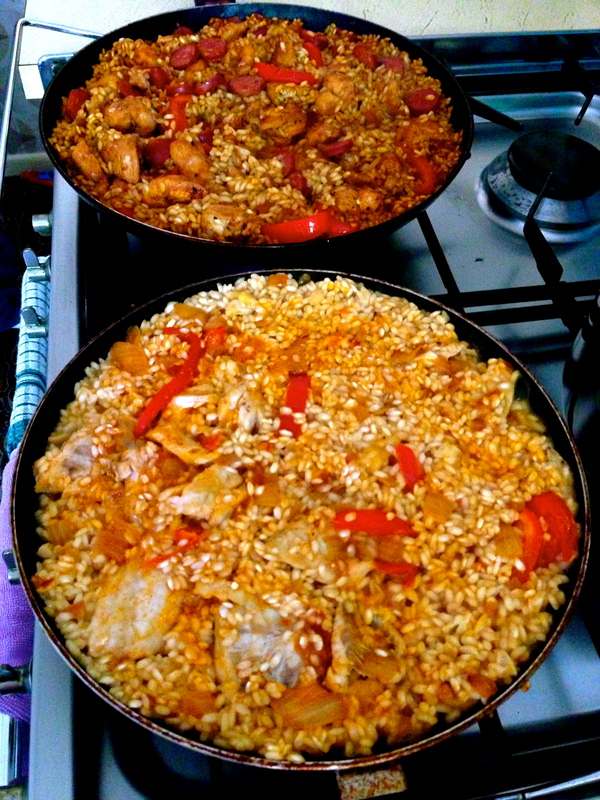 Paella’s done and dusted and if there’s one thing I’ve learnt is how deceptive rice is when it’s uncooked. Considering I’ve lived off rice almost every day for as long as I can remember, you would think I’d understand this but nope, definitely not after judging how much paella I ended up with tonight (heaps). No need to despair though, it’s all going to a good and well-deserving cause (my boyfriend’s lunch for the next week). 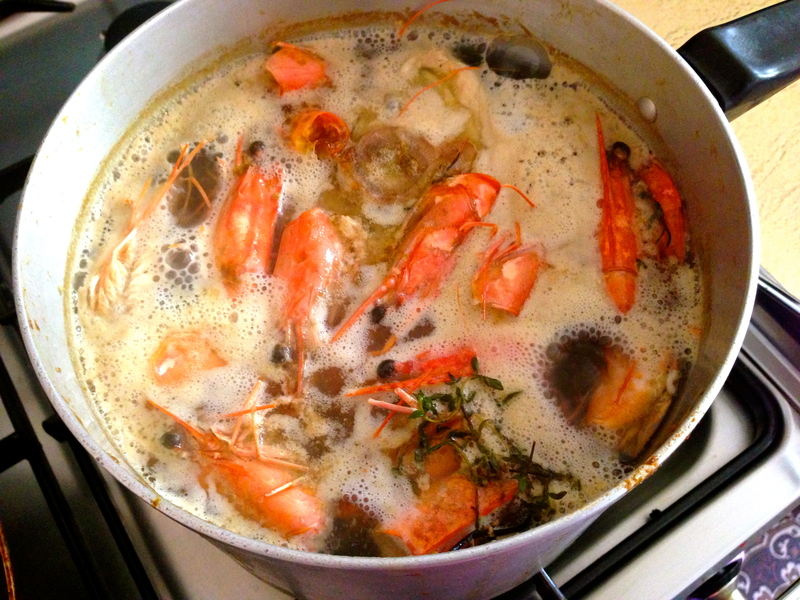 Both used stock made from salted water and prawn heads – might have chucked in some thyme for no reason as well! While that simmered away, we got onto prepping all the non-rice components: sautéing the chorizo, chicken, onions, ginger, bell pepper and tomato paste. I tossed the chicken with some Portuguese chicken seasoning, which is essentially paprika, chilli and lemon, before cooking it. Added arborio rice (about 400ml to each pan – WAY too much for 4 people, by the way) and kinda tossed that around until it looked like it was translucent. To be honest I couldn’t tell for the chicken paella because of the paprika and everything in the seasoning so just winged it. We added the stock after that so the rice was just submerged. This is where I kind of got a bit lost because I wasn’t sure if we were meant to keep adding stock the whole way through until it was cooked al dente and time to caramelise the rice on the bottom (the “socarrat”). I’m fairly certain this is what the recipes called for so that’s what we did. For the caramelisation, I didn’t want to burn the rice so didn’t push the heat up too high, which ended up not being quite enough. What did happen, though, was because of the inadequately sized pans and the large amount of everything else, we ended up with unevenly cooked rice and some of it ended up browned earlier on in the cooking process. I ended up having to scrape that off and move everything around a bit so it wouldn’t burn – a move I’m sure paella purists would condemn. Once the “caramelisation” was done, the heat was turned off and the deliciousness was covered with foil for about 15-20 mins. When I think about it, paella is actually a really simple dish but it requires a bit of experimenting and patience to get right. 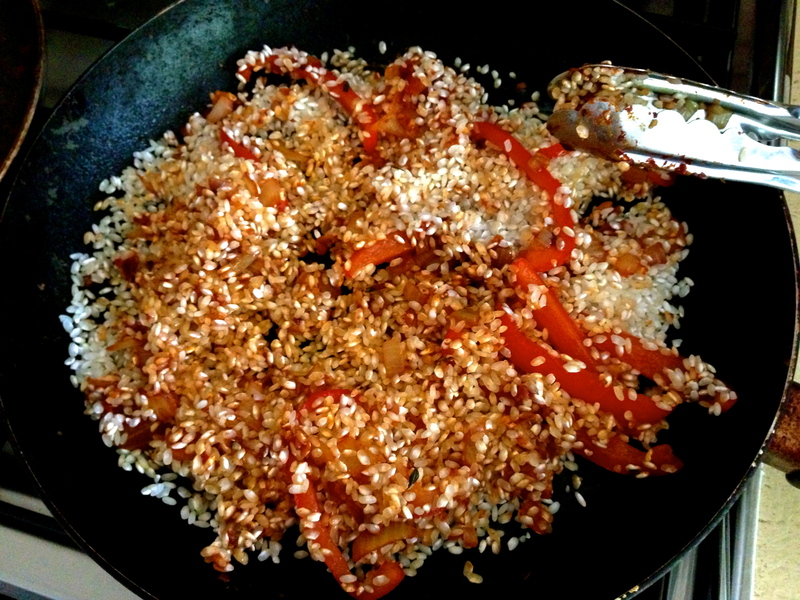 Like I said in my previous post, I didn’t want to ruin my memory of paella in Barcelona and I don’t think I have, but I also don’t think I did it justice, either. When prompted, my fellow diners said it tasted “really good” and “awesome” but I’m not quite as convinced. I felt there was a flavour missing, or perhaps all the flavours were there, it was just that they weren’t strong enough. Perhaps a dash of lemon juice? A better stock? I’m not sure…Also, I think next time I would leave the chicken and fish out until later on in the cooking process; once they’re cooked off, put them aside and then add them in closer to the finishing point, otherwise they come out overcooked. 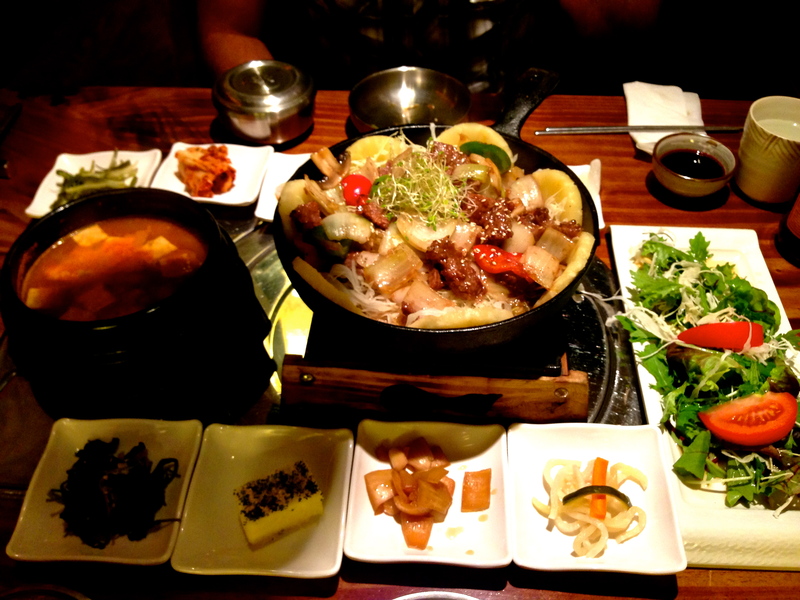 It was a good meal anyway and I learned a lot, especially never to underestimate the potential of uncooked rice! 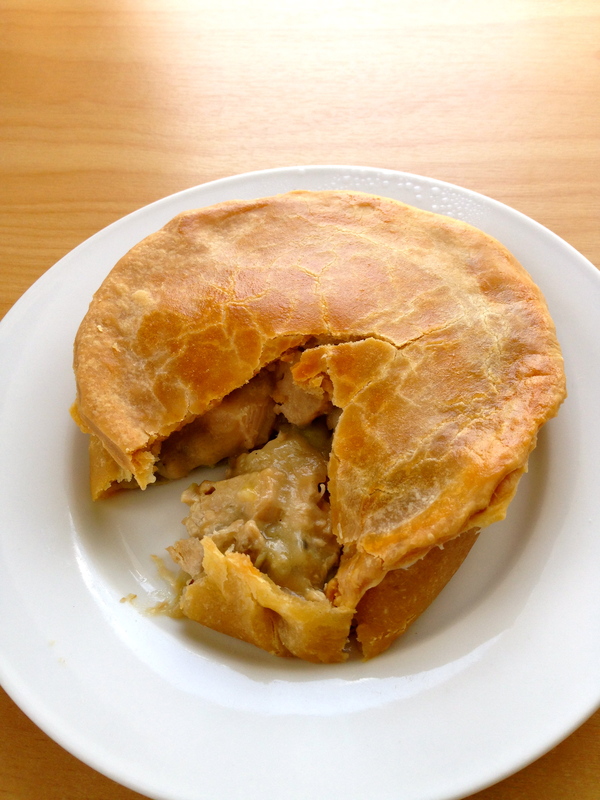 A couple of weeks ago I was gifted a fantastic cook book (Step-by-Step Cook’s Encyclopedia) by my now ex work mates as a leaving present and there was a recipe in it for individual chicken pies that immediately caught my eye, mostly because I thoroughly – albeit a little guiltily – enjoy a good hearty meat pie. Before I get into the recipe, I have to admit that this was probably one of the least attractive things I have cooked so far due to my haphazard hacking away of the extra pastry. It’s definitely something I’ll be looking more into for the future, not to mention how to make a better puff pastry (more on that shortly!). 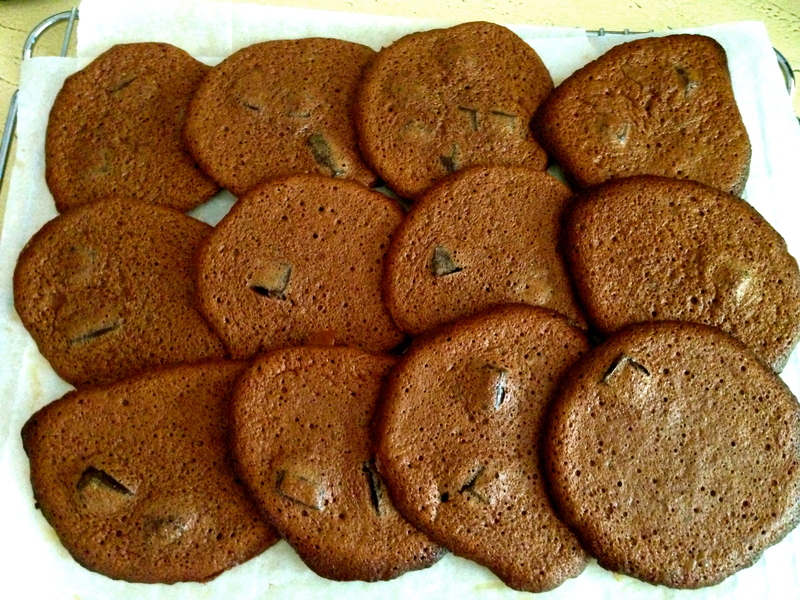 The original recipe in the book also used button mushrooms, which I didn’t feel any desire to consume so I left it out. The process of making these pies actually took me almost the entire day because I’m essentially as slow as a sloth when it comes to cooking something I have never made before; slow and steady wins the race? In another saucepan melt the butter on a medium heat and whisk in the flour, stirring for a little bit. NB: In the book, the picture of this step showed a very dry mixture, resembling that of crumble but when I did it, it looked more like gravy. Not sure if I got the proportions wrong or not but it turned out fine in the end. Simmer and stir while seasoning with salt and pepper. The pie mixture came out really nice, with everything tender and seasoned well, but the pastry was just a bit dry and boring. I think it’s so important to have a good pastry since that’s the thing you see and eat first. I thought my attempt failed on this aspect but I’m looking forward to educating myself more about pastry techniques.